Savings and Loan business accept customers deposit or savings for a specified period and pay a lump sum after deducting interest for services rendered. They also give out loan and advances to qualified members to finance personal or business needs. This business operates like micro-credit and finance house. As a savings and loan business owners, your most concerned areas in transaction recording are how to accurately track your customers deposits, interest income, advances to customers and generate a dependable financial report. You can refer to my tutorials on QuickBooks Pro, Premier or Enterprise on extra-ordinary Income and expenses recording functions on the side menu. Congratulations! You’re managing your own small business online because you are not comfortable living from pay-check to check all your life. As your revenue stream expands and sales revenue grow, you need a good accounting software to help track and monitor your business finance. QuickBooks accounting software can help you manage your home-business or internet company's sales and expenses transactions. All you need to do is to learn how to set-up your revenue channels which I have discussed in this blog and record your business expenses. 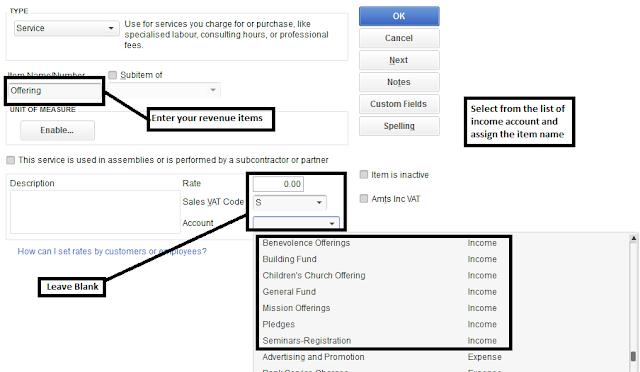 If your sales are made online, you can choose a sales period - weekly or daily after which you record your sales as shown under QuickBooks sales receipt tutorials. Accounting software for small business is not different from your home-based online business. All you need to put in place is your income and expenses transaction recording system so that you can track your profit or loss trend accurately. Generally, retails stores like supermarkets are known to sell different varieties of consumable house-hold products . It is one of most profitable business, you can start and enjoy daily sales following the use and dumb concept behind the production of items sold. You can refer to POS for Supermarkets on how to install the point of sales software for retail stores. 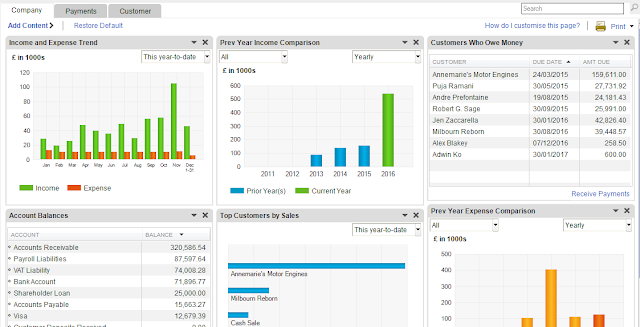 To be on top of your business as a retail merchant, you need to track all your individual product sales trend on a daily basis via class tracking – the class tracking features of QuickBooks helps you to carry out what is popularly known as activity based costing. Like any other organisation, QuickBooks helps Church to organise their financial records so that leaders or decision makers can monitor the financial trend of their organisations. Part of QuickBooks for Church tutorials has been treated under QuickBooks for non-profitorganisation. All you need to do as the financial secretary is to track all your revenue sources – from Church offerings, giving, donations, Pledges, Building funds, Seminar registration, missionary support and other fund raising initiatives. 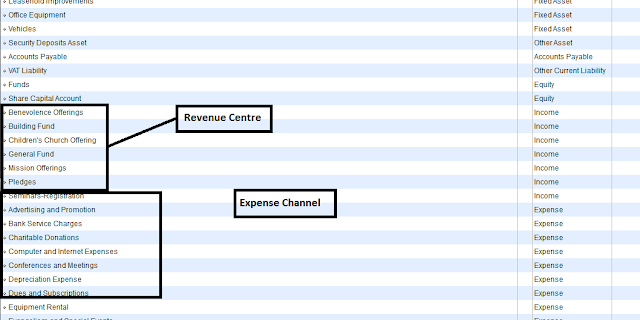 The expense channels are not different from a small business expenses. You can refer to my tutorials on how to record business expenses in QuickBooks What you need to do is to integrate all these listed items and categorize them under income account. 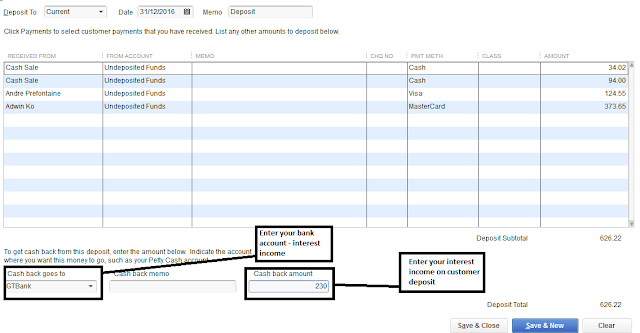 To add each of these items in QuickBooks, click List on the menu and select Item List. 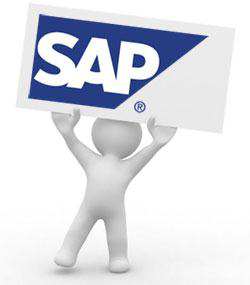 A good SAP ERP Business one professional course, training and certificate class in Lagos Nigeria, with industry standard fee, is geared towards those individuals in small-sized to mid-sized companies who plan to use SAP's Business One application to perform basic business functions within their organizations. With QuickBooks Accounting multi currency features for small businesses, you can track transactions in multiple currencies. Multi currency affects many accounts and balances in your company file and the preference can't be turned off once it's been turned on. QuickBooks is not only designed for business that is profit driven but can also work for a non profit organisation - it also functions like a fundraising management software. A non profit organisation is an organised entity that is geared towards community or societal impact. As an organisation, it is important that you have a reliable accounting system to capture your sources of income and expenses - donation, sponsored contributions, building fund, mission offering, pledges, seminary registration, special event expenses among others. All you have to do as charity organisation is to recognize your revenue centers, expense channel and set up QuickBooks Accounting software. QuickBooks Payroll Summary Report like other financial reports which I have discussed helps you to see an overview of your payroll transactions, pension contributions, employees earnings, payroll liabilities report etc for a specific period. Small business owners, from the HR department, can use this report to make decisions that are related to payroll activities. 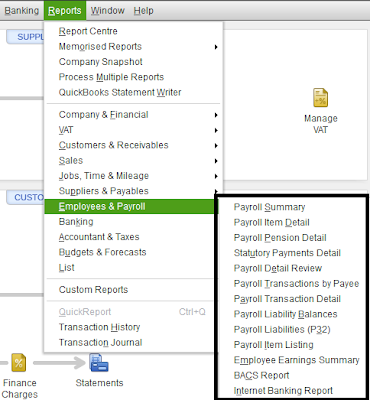 To see your various payroll activities and transactions in QuickBooks, click Report and select Employee & Payroll.